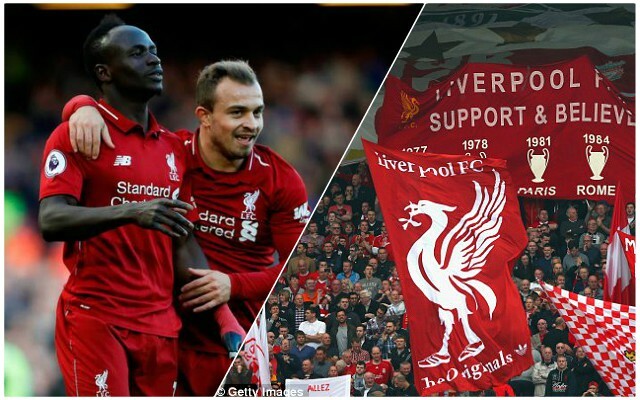 Sadio Mane says he and his Liverpool teammates go into every game, not least at Anfield, believing they are going to win. Ahead of the visit of Leicester City tonight, the number 10 says losing does not even cross the player’s minds at the moment – which can only be a good thing. Via LiverpoolFC.com, he said: “If you play at home, especially at Anfield, we have in our head that no-one is going to beat us, we’re going to beat all of them. With 19 wins from 23 matches before playing Leicester tonight, the Reds have every right to feel confident. Jurgen Klopp has made the team believe for sure – it’s not just supporters who have been transformed from doubters to believers. Success is often largely based around confidence – there are no longer defensive issues that stick in the back of players and fans mind’s every week, while up front, goals continue to fly in. There are no weaknesses in this Liverpool team, and when that’s the case, why wouldn’t you believe you were going to win every week? The feel-good factor around the players and fans is great to see.